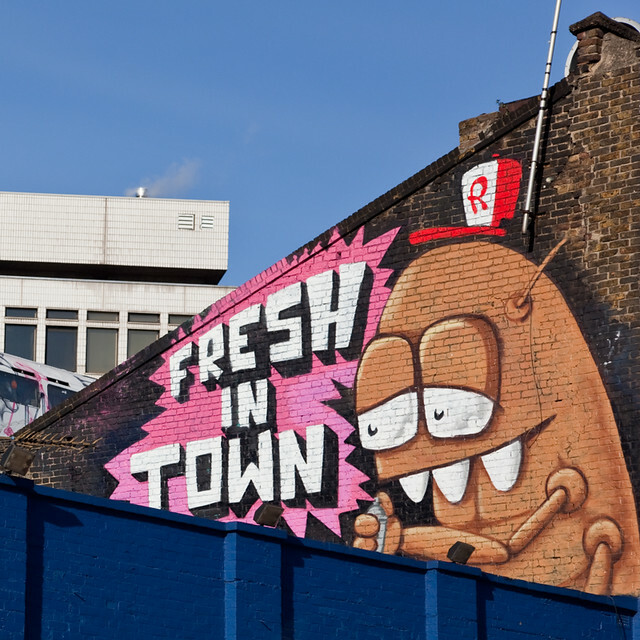 Last week saw a fresh new addition to Great Eastern Street with East London street artist Ronzo redecorating the wall space adjacent to Village Underground. 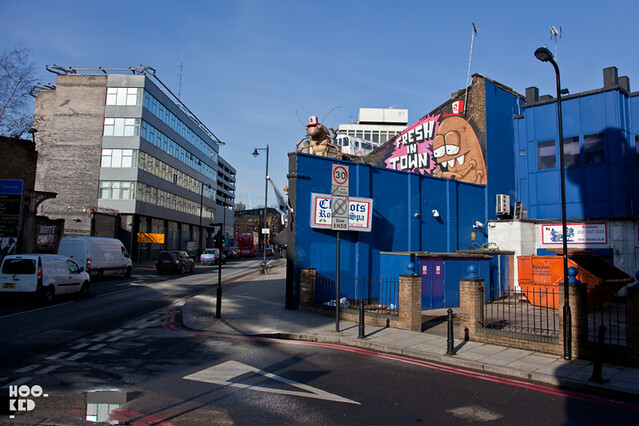 The new roof top mural features one of the artist's signature Cockroach characters which now joins Ronzo's massive massive 3D cockroach sculpture 'Roachio' who has been in residence in the spot for a number of months now. Check out the time-lapse video below of Ronzo working on the piece.